Since in 1968, Duval County and the City of Jacksonville consolidated their governments and their political boundaries, you pass city limits signs on highays as much as 20 miles before you reach even the outskirts of the city. Coming in toward the East-West Interstate 10 from the South on U.S. 301, cars pass the Jacksonville city limits sign well out into the woods. Immediately the other side of the city limits sign, you see a small red wooden shack on the right-hand side of the road. A very old, wrinkled and wizened man can often be seen here walking busily around the outside of the falling shack. He goes in and out of a darkly screened front porch. On most days, he tends a fire in a worn iron stove on the side of the shack. What he puts into the fire is a mystery. Perhaps the fire he tends is somehow related to the Heraclitean fire inside Treaty Oak, the fire that keeps the city alive. Perhaps he constantly adds fuel to the fire that runs the engine of the city. Perhaps he is the true mayor, and the elected mayor merely likes to call himself that. Perhaps he is as old as the city and he feeds the city by feeding the fire. Most days the smoke blows out of the old iron stove and blows through the screen on the porch and blows across the red rotten wood of the shack and blows across and through acres of pines. 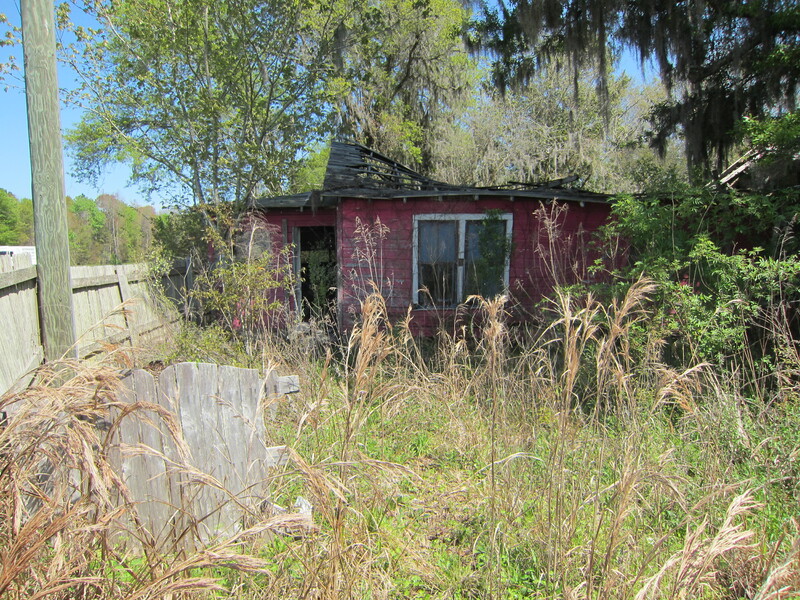 Perhaps the Jacksonville city limits sign pertains solely and wholly to this small red shack in which lives the old mayor. The mayor then is the mayor solely and wholly of his house, which is all the Jacksonville there is, and the Jacksonville that is other than the shack merely likes to call itself that.